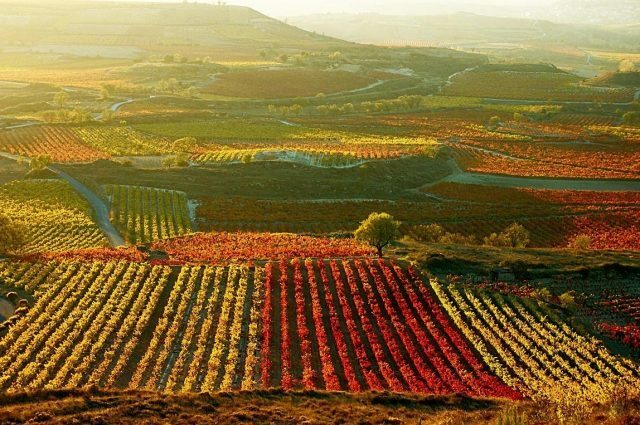 Rioja has produced one of its largest harvests on record, with an increase of 30% on the previous frost-struck vintage. Speaking in London this week, Ricardo Aguiriano from the Consejo Regulador DOCa Rioja said that the pressure on supply from Rioja would ease with this year’s vintage, which is up from 360 million kilograms of grapes in 2017 to 468m kg this year – an increase of 30%, making it one of the largest harvests of the past decade. Indeed, it is bigger than previous recent large harvests, including 2016 (442.4m kg) and 2005 (445m kg), although still smaller than the largest on record, which was 2000 at 490m kg of grapes. Discussing the nature of the vintage with the drinks business earlier this month, Alejandro López, who is winemaker for Bodegas Bilbaínas – the owner of Viña Pomal – said it was a “very good” and “classic” year. Stylistically, he said it would produce wines that were similar to Rioja made three decades ago, mainly because of the alcohol content, which is low this year. “In a normal year we reach 13.5% to 14% but this year will be 13% – so it is more typical of 30 years ago,” he commented. The harvest was late due to prolonged wet conditions at the start of the year, delaying flowering and fruit set, while the relatively low levels of alcohol are due to both high yields and a dry summer – the arid conditions in the second half of the year slowed down the production of sugars in the berries. Such a large yield in 2018 is in contrast to last year, when the potential crop across as many as 20,000 hectares in Rioja Alta were virtually wiped out due to a late spring frost. Indeed, this partly explains the high yields this year, as the vines reacted to last year’s extreme weather by producing more bunches, according to López.